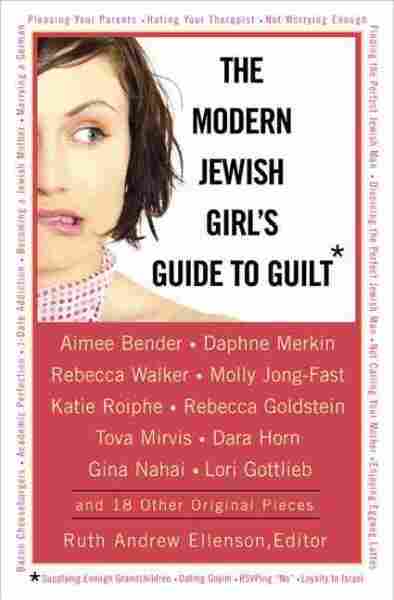 'The Modern Jewish Girl's Guide to Guilt' At the center of the book is the battle between obligation to one's community and the obligation to one's individual interests and needs. It's that tension that produces guilt — and it's the springboard for a collection of delightful essays. Got Guilt? Ruth Ellenson does -- she's the editor of The Modern Jewish Girl's Guide to Guilt, a collection of essays by Jewish women writers about everything from pedicures on Yom Kippur (Oy!) to divorcing Mr. Jewish Right. Ellenson is the daughter of a rabbi and a Christian convert to Judaism. Ironically, the idea for the book on Jewish guilt came to Ellenson in the middle of a Christian Methodist service, where her maternal grandmother was singing in the choir. "The delight I saw sitting in her presence was mitigated by the fact that I was sitting in front of a large crucifix," Ellenson writes. "Those divided loyalties define who I am, and how I approach my religious identity, which I imagine they do for many modern people." The book's essays tackle subjects as diverse as feminist mothers urging their daughters to have babies and the clash of ideologies in Buddhist-Jewish couples. And then there's the subject of Israel -- "If you're going to write about guilt, Israel was an important one," says Ellenson. At some book readings, Ellenson says, angry audience members have told Ellenson how much damage she's done to the global Jewish community. At the center of the book is the battle between obligation to one's community, with its dictates and traditions, and the obligation to one's individual interests and needs. It's that tension that produces guilt.